(NaturalNews) In one state, at least, it is no longer permissible to force parents at gunpoint to allow their children to be given dangerous psychotropic drugs. As reported by The New American (TNA), a new law in New Mexico to protect kids from coercive psychiatric screening and medication was approved last year in the state, and now advocates for the law hope it will spread to other states and provide similar protection for children, families and parental rights. As TNA reported further, Big Pharma and the Obama Administration have been pushing hard to unconstitutionally spread mandatory "mental health" screening, treatment and tracking of children nationwide. But health freedom advocates say laws like the one on the books in New Mexico "could offer much-needed protection in the years ahead. And progress is already being made," TNA noted. The legislation in New Mexico, which was supported by members of both major political parties and passed nearly unanimously in both chambers of the state legislature, is being celebrated by its advocates as the toughest forced medication protection law in the country. Formally titled the "Child Medication Safety Act," the measure sought to address what is viewed by many as an alarming trend in the U.S. – threats and coercion against families and their children when it comes to forcing psychiatric evaluation and subsequent mandatory medication with dangerous mind-altering drugs. "For too long parents' rights have been subjugated by the mental health industry, and children wrongly labeled with mental disorders and drugged with dangerous mind-altering psychotropic drugs," said the Citizens Commission on Human Rights (CCHR), a nonprofit mental-health watchdog that backed the law and hopes similar measures will spread nationwide. "It's encouraging that New Mexico is taking its place among a growing list of states taking protective actions on behalf of children and parental rights." The group noted that it was time for other states to take similar action, TNA reported. The New Mexico law, HB 53, prohibits school personnel from forcing children to use psychotropic medications — a common occurrence in government schools across America, where close to 10 million children are on such drugs. Among other elements, the measure allows school officials to offer parents assistance for their children, but never using threats or coercion. "An employee or agent of a school district or governing body shall not compel or attempt to compel any specific actions by the parent or guardian or require that a student take a psychotropic medication," says the law. In addition, the statute makes it illegal to use a parent's refusal to medicate their child with psychotropic or other mind-altering drugs as a reason to remove the child from their home and place them in the care of the state's child "protective" apparatus. 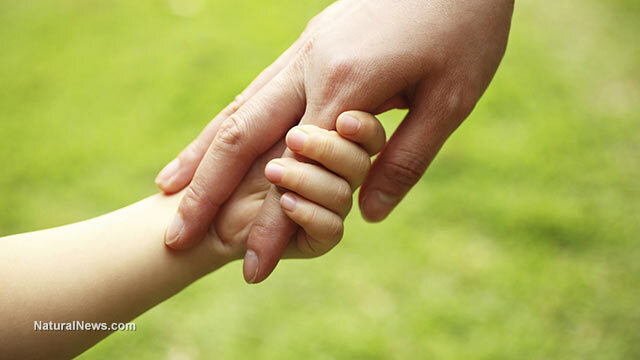 "A child shall not be taken into protective custody solely on the grounds that the child's parent, guardian or custodian refuses to consent to the administration of a psychotropic medication to the child," the law says. Now, schools must get parental consent for child psych "screening"
That passage is notably important, given recent cases around the United States in which state bureaucrats have literally stolen children and forced them to take medications that are often dangerous or experimental, in violation of internationally agreed upon human rights (see here, here and here for just a few examples of Natural News coverage). Another huge victory for advocates of traditional medical ethics in New Mexico is a section of the statute that bans mandatory "mental health" screening, as this has often been used as a phony pretext for trumped-up charges against parents. Under the law, schools have to not only request but receive parental consent before "screening" a child for any presumed mental issues. "School personnel shall not require a student to undergo psychological screening unless the parent or guardian of that student gives prior written consent before each instance of psychological screening," the law says.